Begin your experience in our recently renovated museum store where Bennett’s prints continue to be sold today. Walk through our museum discover where the Bennett family took portraits, developed them in their dark room, and sold them in their store front. We are closed to the public from October 28, 2019 until Spring 2020. We are available for pre-booked groups and by appointment visits during these months. The H.H. Bennett Studio is located in the middle of downtown Wisconsin Dells and one block from the Wisconsin River, the Dells RiverWalk and Upper Dells Boat Tours. The H.H. Bennett Studio Museum Store features original handmade Bennett prints, unique photography items, books, souvenirs, and more! For a complete listing of restaurants and accommodations within an easy walk of H.H.  Bennett Studio, contact the Wisconsin Dells Visitor and Convention Bureau. The H.H. Bennett Studio is fully accessible to visitors requiring a wheelchair. Visitors with limited mobility may be dropped off and picked up directly in front of the H.H. Bennett Studio on Broadway. No pets are allowed in the H.H. Bennett Studio. Service animals are permitted for persons with disabilities in accordance with the Americans with Disabilities Act. No guns, knives, or weapons allowed on the premises.